Sometimes you have to fight in life, preferably not with your fists! 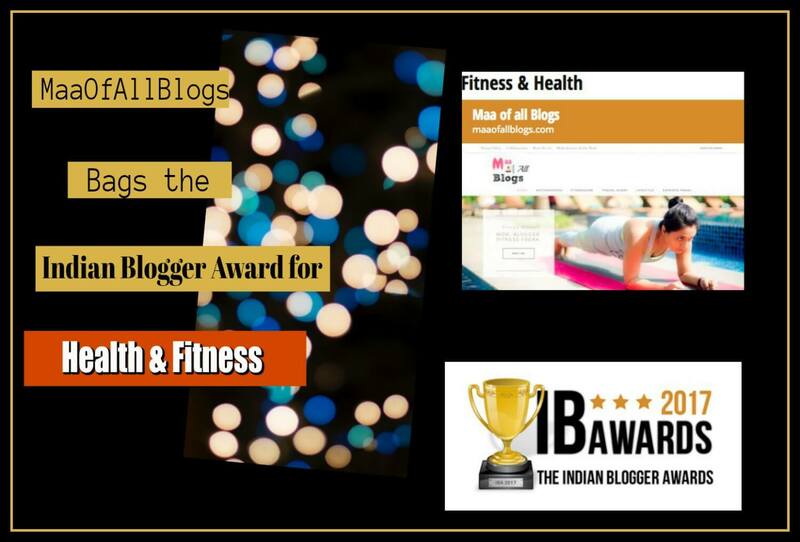 Winning the award for The Best Fitness & Health Blog in India at #IBA2017 organised by @Indiblogger at the age of forty is my biggest win this year! Many, many thanks to all my readers and supporters. For all those who have seen me in this journey, I haven’t arrived yet but this gives me more inspiration to work harder and take more women along on my journey. Through my blog, MaaOfAllBlogs, I will continue to strive for all of us. And finally, many thanks to Indiblogger for making me feel so privileged. Indiblogger is the first blogging platform I discovered and have stayed with it ever since. It’s an amazing platform for new bloggers and a great community to connect with fellow bloggers. Congratulations. Wishing you a great year ahead. Very informative blog! Thanks for sharing. Very great content, Explained very thoroughly! Thanks Prerna…Love this great Info.